Most Christians would never do to their physical bodies what they do to their souls. Come to church for one square meal a week from the Word, and snack a little on Christian radio Monday through Friday. If we are to feed our soul regularly from the Word, it means that we will have to prepare our own meals. We will have to spend time studying the Word for ourselves. Here are three ways to get started. One of the important steps in reading the Bible is to do it daily. 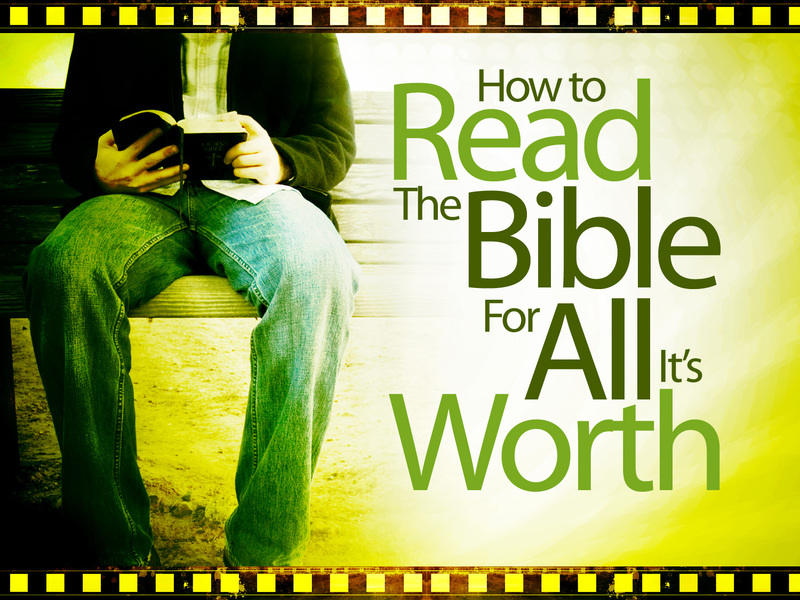 While not a large book (most Bibles are less than 1000 pages), reading it daily gives the opportunity for meditating and applying that particular portion of the Scripture on a regular basis. · What is the most obvious Bible truth I’ve learned? · What have I learned about the character of God? · Are there words or ideas that are repeated in the passage? If so, what are they? · Are there words that I don’t understand? What do they mean? · Are there other verses or passages in the Bible that help me understand this passage? Years ago I memorized a brief poem that I often return to when seeking meaning from a Biblical text. I encourage you to answer the applicable question from the poem to improve your understanding of the Biblical passage. when, and where, and who. ← When people think of you…what do they remember? love the graphic — what’s the source? we are missionaries serving overseas and in the process of preparing a workshop on how to study the Bible and looking for a graphic — any chance to get permission? Thanks for whatever might be possible. The graphic is from a media supplier I have used for years called Graceway Media. Gracewaymedia.com. When you subscribe you have access to 1000’s of graphics ideal for missionary or church use. Usually I place my own text over the slides. The content is from a booklet that was published in 2012 entitled, Just Like Jesus: biblical strategies for growing well. Send me an email through that website (biblicalstrategies.com), and I’ll send you a free sample, if you’re still state side.